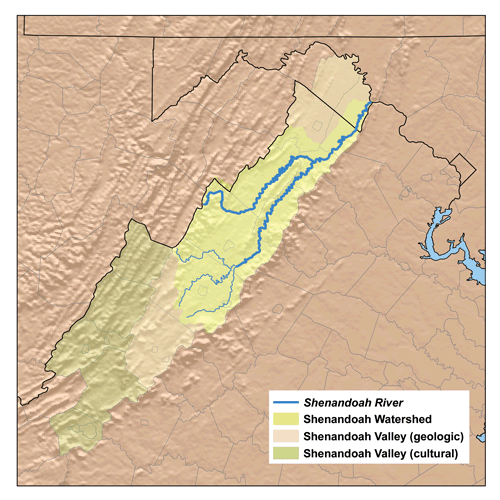 Description: This is a map of the Shenandoah River Watershed and Shenandoah Valley. I, Karl Musser, created it based on USGS data. Author: No machine-readable author provided. Kmusser assumed (based on copyright claims).